After purchasing your flight tickets, book hotels, and finalize your itinerary, the next thing that any traveler should find is a good quality luggage. Luggage is an essential for any travel be it local or international destinations. Luggage receive a lot of beating as it gets moved from airport to airport, from different modes of transportation to different cities and destinations that is why it is really important to get a good quality luggage to accompany you in all your travels. Luggage comes in many different styles and sizes depending upon the length and mode of travel. There are many different brands of luggage available but when it comes to quality luggage, Travelpro tops the list. 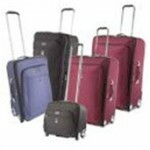 Luggagebase.com is one of the online stores where you can purchase your Travelpro luggage. Luggagebase.com sells luggage and bags of different styles, types, and brands like American Tourister luggage, Kipling bags, Oakley backpacks and more. They offer the most affordable luggage sets without sacrificing the quality and they even offer promos, discounts and free shipping for items over $50. 1. Durable. 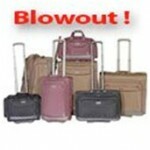 Travelpro luggage is known for its durability. It is made from ballistic nylon that can resist the roughness of any travel. It is well stitched so it will not break and it has a fully lined interior for added protection. 2. Lightweight. Any traveler will know how a big convenience lightweight luggage is. This means that they can travel without straining their arms and shoulders as they put the luggage in the overhead cabin or when getting it from the conveyor belt or when lifting the luggage as you travel in the city riding a bus or cab. Airlines are also stricter now with weight restrictions and some airline companies even charge an extra fee for checked-in or carry on luggage so the lighter your luggage is, the better. 3. Easy to move. Travelpro luggage has good quality wheels, which makes it easier to maneuver through bus stations, airport, busy streets and more. Travelpro’s wheels are durable and smooth so it can withstand the beating that traveling brings. Travelpro’s wheels are also removable and can be easily replaced. 4. Available in different types and styles. Travelpro luggage is available in different forms like carry-on, duffels, rolling totes and more to meet every requirement of different types of travelers. 5. Stylish. Travelpro luggage stands out from the plain black luggage that we normally see as they come in stylish designs and colors. So if you want to travel in style and make sure that your belongings are safe and will arrive safely in your destination, make no mistake and choose only Travelpro. This entry was posted in Travel must have and tagged luggage, luggage bag, tourist, tourist bag, travel, travel bag on March 14, 2012 by Yami. My old luggage is in need of replacement, especially that we have two scheduled trips this summer. And your post has convinced me that Travelpro luggage is my best option. Thanks! We are in need of a backup luggage when we travel out of the country, my luggage and a large tote couldn’t hold most of our stuff in place. I will look into Travelpro luggage because I think that’s one of the best luggage around. Your blog post is very timely since people will embark to their summer destination soon. They will be needing a sturdy and durable luggage for all their travel essentials. Your review of Travelpro luggage is very useful and convincing. Our old luggage needs a replacement and I am thinking of getting a Travelpro luggage. We have some travel plans this summer need we need a big and sturdy one for our family. Will check this out! Traveling is quite tiring with all the necessary preparations like packing and sorting out of things to bring. So it is important that one has the quality made and durable luggage to entrust things. 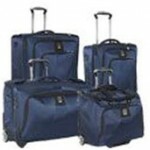 Travelpro luggage indeed has all the good qualities and a good choice for luggage needs. Kipling bags make good travel luggage. I had mine for years and it is still very durable and sturdy. So happy you mentioned it. I just got the news from my boss that I might fly to Brunei mid of this year for a temporary duty. I am so not used to traveling alone so I told hubby that he should save so he and the kids can go with me. Hubby is all up for it and he even suggested that we have a side trip to Hong Kong or Singapore. I guess it is time to really invest on good quality luggage as we travel often as a family. Thanks for sharing good reviews of Travelpro luggage. I will check them out when we go luggage shopping soon. The next time we buy a new set of luggage, we will definitely consider Travelpro. The reasons you posted here are enough to convince me that it the best brand to invest our money on. Thanks for sharing! This reminds me of our plan to get a luggage for our two-week trip in the coming months. We need something that is durable and lightweight like a Travelpro luggage. I’ll look for this brand when we go shopping for a luggage. My new passport arrived this month and I’m hoping (and keeping my fingers crossed) that we can travel overseas once again this year. I’m itching to travel but our luggage needs a replacement as well. Thanks for your post, I’ll check out Travelpro luggage soon. I will need to scout for the perfect yet affordable Travelpro luggage to use for my camera stuff. You see, the one I’m currently using is quite small already for all my shoot needs, thus a new one is needed. We’re planning to go to the coolest part of the country again and since we intend to stay for a couple of days we would need a sturdy and quality luggage to pack our things. You gave me good ideas of choosing Travelpro luggage for our family travel. I’m sure we’ll not worry about untimely damage or sudden breakage because quality always lasts for a longer period of time. I have always been a big fan of Travelpro luggage. Unfortunately I’m unable to use some of my older pieces because of the lighter luggage allowances.